If you thought that brushing alone is enough to take care of your teeth, you're mistaken! Your teeth deserve some specialized care and attention, just like the rest of you and just to get that care right, Xpertz Dental Solutions is where you need to head to. 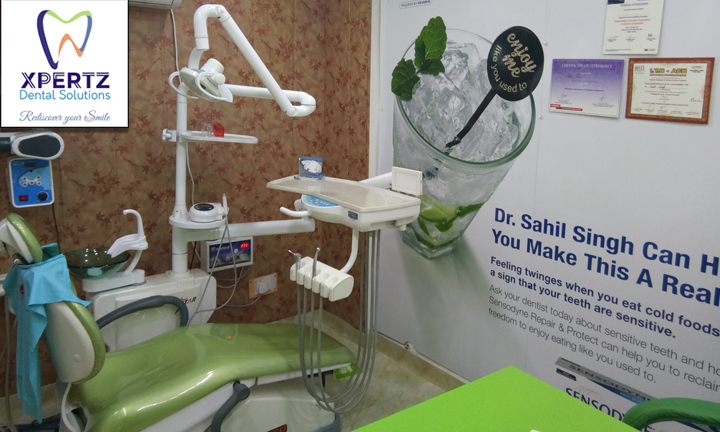 Located in a prime area in Gurgaon, DLF Supermart 1, Xpertz Dental Solutions is the one stop shop for all your oral hygiene needs. Their belief at XDS is to offer ethical treatments to all their patients using the modern most technology while maintaining high standards of care and quality. Their team here comprises of some of the best and qualified most dental practitioners and doctors who make sure that you always have a beaming smile on your face when you walk out after a thorough treatment at Xpertz Dental Solutions.